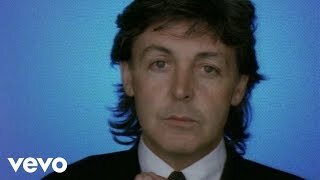 “My Brave Face” is a single from Paul McCartney’s 1989 album, Flowers in the Dirt. Written by McCartney and Elvis Costello, “My Brave Face” is one of the most popular songs from Flowers in the Dirt. It peaked at #18 in the United Kingdom a week after its debut, and #25 in the United States 7 weeks after its debut. It was McCartney’s last top 40 hit on the Billboard Hot 100 until his 2014 collaboration with Kanye West, “Only One“. Like other songs from Flowers in the Dirt, despite the song’s chart success, to date it has not been included on any McCartney compilation album. “My Brave Face” was first recorded at sessions overseen by McCartney and Costello in early 1988. 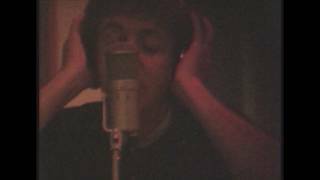 Excerpts from this session were eventually used in McCartney’s documentary video Put It There, but other than that were not used. The final version of the song was recorded later the same year at Olympic Studios in London, with producer Mitchell Froom joining in on the work. During the overdub sessions, David Rhodes added an “ebow guitar” in a quick one-day session at Olympic Studios. According to the Put It There documentary, Costello requested that McCartney bring his iconic Höfner violin bass, which he had not played in years, to the recording session. To this day, Paul still uses this bass, in addition to the Rickenbacker 4001 and his Wal 5-String Customized. This song was released on many formats, including the standard 7″ single, a 12″ maxi-single, a cassette single, and a CD single. The music video for “My Brave Face” was shot in April 1989, directed by Roger Lunn. It was frequently seen on video channels that year, and was released in 2007 on the three disc collection The McCartney Years. It features a Japanese McCartney-fanatic who acquires McCartney memorabilia, films, and audio by means of robbery, and, allegedly, through Sotheby’s. The video was shot in both black-and-white and in colour, and it features rare videos of him with The Beatles as well as with Wings. There is a video of him and the rest of the Beatles doing the Charleston, and him and Linda (as well as a visible Joe English in the background) being greeted by people in New Orleans. In the end, the Japanese fanatic gets arrested, and a clip of McCartney looking in the camera is shown, with 2007 McCartney voicing-over on the audio commentary, “What did you expect?” The video earned a nomination in “Best Video” category on the 1990 Brit Awards. The first single off our album is going to be one called ‘My Brave Face’, which me and Elvis (Costello) wrote together…we… started writing songs from the ground up that neither of us had any pre-conceptions about, and one of those…was called ‘My Brave Face’ and it was good…it’s got a kind of ’60’s-ish feel: the best thing is to listen to it. Paul McCartney is not one to look back. ‘Onwards and up-wards is his motto, and rightly so. But being “the act you’ve known for all these years”, he’s bound to remind us occasionally of past glories. ‘My Brave Face’ is a dynamic example. The lustrous guitar sound recalls ‘A Hard Day’s Night’, while the pumping synco-pation has a hint of ‘Taxman’ about it. These elements add a rosy glow to a song that’s new-minted and instantly memorable. It was written with Elvis Costello, though he doesn’t feature on the track. “There was a nice kind of equal collaboration on it,” Paul told Mike Read. “We’d just sort of throw words about and stuff and where I thought he was getting maybe a bit too cryptic or whatever, I’d just say ‘I don’t like that, we should go a bit further here, or we should maybe take it there’, and it was nice. If he spotted an idea he liked then we’d go that way, or similarly with me”. ‘My Brave Face’ is a great recommendation for this way of working. Simultaneously upbeat and mysterious, the song bears the stamp of both writers. Paul has long been adept at weaving the threads of everyday phrases into a new tapestry: “Unaccustomed as I am” is one such, but you don’t expect the words “to the life of a housewife” to follow. The hand of Elvis? And what a performance! Hamish Stuart is the only other vocalist and he fully backs up Paul’s words to Mike Read: “He’s a very good singer…he can always handle harmony lines anywhere, and…wailing and singing generally”. He certainly can: the blend of voices on ‘My Brave Face’ is well on the rousing side. Instrumentally, Hamish is on acoustic and electric guitars and David Rhodes (known to the cognoscenti for his work with Peter Gabriel) is on ebow guitar. (Don’t let these medical details throw you.) Less exotic, but just as valuable, is Robbie McIntosh’s work on acoustic and electric guitars. Paul is on bass, acoustic and electric guitars. Plenty of colour there, but what of that ‘texturing’ so dear to us oil painters? Well, Mitchell Froom, who co-produced the track with Paul and Neil Dorfsman, provides much of this on keyboards. (When producing Crowded House, he’s almost a band member as well.) Add Chris Davis, Chris White and Dave Bishop on saxes and any more would be cluttering the canvas. And what of this Dorfsman fellow? Co-producer of Bruce Springsteen’s The River, he’s best known for his work on Dire Straits’ Brothers in Arms, claimed (against opposition from EMI on Sgt. Pepper’s behalf) to be Britain’s best selling album ever. On Flowers in the Dirt, he co-produced seven tracks and mixed ‘Distractions’ and ‘This One’, both produced by Paul. First mention of ‘My Brave Face’ (positive) was in none other than the Sun. And what of the rest of the package? The B-side, ‘Flying to my Home’, was a strong contender for the album. As well as producing the track, Paul is on autoharp (see Johnny Cash item in CSSO), bass, drums, keyboards, lead guitar, organ, percussion, rhythm guitar and slide guitar. (This last is a rarity for Paul, though ‘Jet’ and ‘Band on the Run’ spring to mind.) Amazingly, there’s still room for Hamish to add acoustic and rhythm guitars and harmonies. Also harmonizing is Chris, who plays ‘accordion synthesiser’ (eh?) and more drums. Engineer is Geoff Emerick, with Matt Butler assisting. The 12″, CD and cassette versions also contain ‘Ain’t That A Shame’ and ‘I’m Gonna Be A Wheel Someday’, the Fats Domino numbers from Choba B CCCP (Funny how it’s now the West that has to wait with bated breath for songs to be released.) A certain inconsistency with the Fat Man’s ‘I Don’t Want to Set the World on Fire’ needn’t spoil our enjoyment of the latter item. The cassette has the four songs on each side. The first single can be crucial to an album’s fate. With ‘My Brave Face, Flowers in the Dirt has received the best possible launch. Mitchell Froom: Well it seemed like it could be a hit. It’s a bit of an odd song in some ways, but it was really hooky, it had a great bass line, it was positive and a really cool lyric, great melody, it sort of had all that stuff. To be honest I have a hard time with the aesthetic of the period, it just sounds wrong to me. I would give anything to be able to remix it with somebody [laughs]. I remember hearing the music in a more raw form, and it sounded really good to me, and [at the time] when I heard this mix it sounded good to me because it was the eighties. Paul and Linda McCartney on set at the video shoot for ‘My Brave Face’, Liverpool, 1989. Photo by Peter Kernot. “My Brave Face” has been played in 107 concerts.